If you know someone in need of a Chromebook, be it a student or someone who just loves to work in the cloud, HP’s latest is designed to survive a little more than most lappies. The computer world may be dominated by Windows and Mac, but that doesn’t mean that’s all you can find. Apple’s iPad and Google’s Android is there for tablets, and then there’s also Chrome. Yes, Google’s Chrome is a browser, but it’s also an operating system, and one based on the browser. Available in Chromebooks, Chrome OS is a different take on the Chrome web browser, taking Google’s vast assortment of software and web-based apps, and making them available on a laptop. That means there’s an office suite with Google Docs, Sheets, and Slides doing the job of Word, Excel, and PowerPoint, and there’s also a file browser, music player, and pretty much everything else a computer needs. 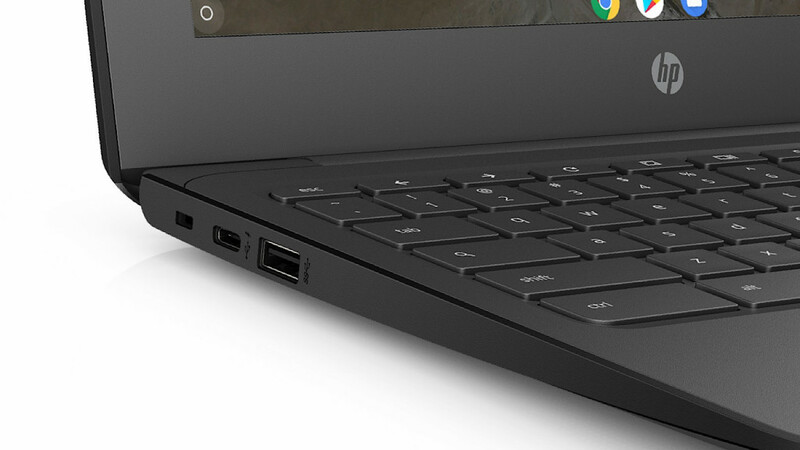 Chromebooks are a different breed of laptop made for a world that is primarily online, though they do have an offline mode and allow you to work without necessarily being connected. But there’s one thing they don’t often see: updates. It’s been well over a year since we heard of any news involving a Chromebook, as these computers don’t often see a lot of changes, a real shame given they can be very capable machines made for productivity, web surfing, email, and more. In fact, they can even be used for schools, though parents should check with a school as to whether a Chromebook is allowed or recommended, as they don’t run every app. 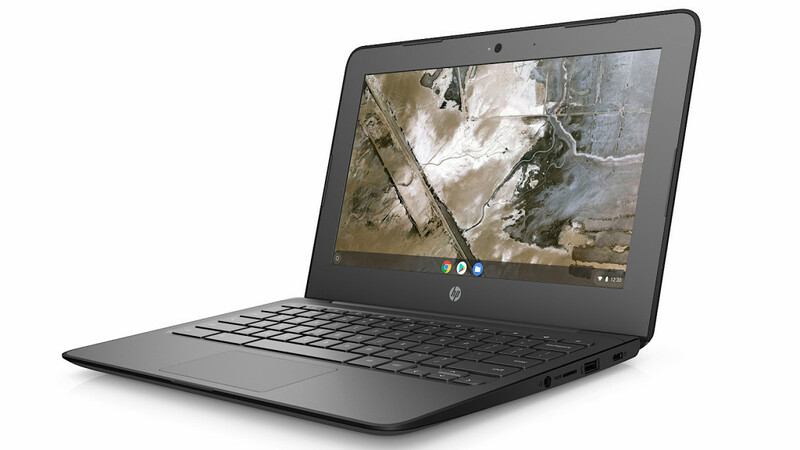 However if Chromebooks are allowed, there’s actually a new model or two on the way from HP this year. Sitting in the “finally, a new Chromebook” basket of news, HP has announced three that will be making their way to Australia, two later on and one practically now. The model heading to stores next week is HP’s Chromebook 11A G6 Education Edition, an AMD-equipped Chrome-based laptop that cuts the specs down to make for a more affordable and student friendly machine, packing in 4GB RAMand up to 32GB storage, while also adding a 180 degree hingeto allow the screen to lie flat. New to the Chromebook is support for Android apps, making it just that little bit more friendly than past Chromebooks that only worked with Chrome apps. HP has also thrown in support for USB Type C connectivity, with two ports provided, offering a way to charge the laptop from either side. Perhaps one of the most useful features is the design, which has been ruggedised to survive more than just gentle everyday use. In fact, it has undergone military standard testing, certified for MIL-STD 810G, with strengthened corners and rubber contact points, with HP telling Pickr it can survive a 70cm drop on concrete. 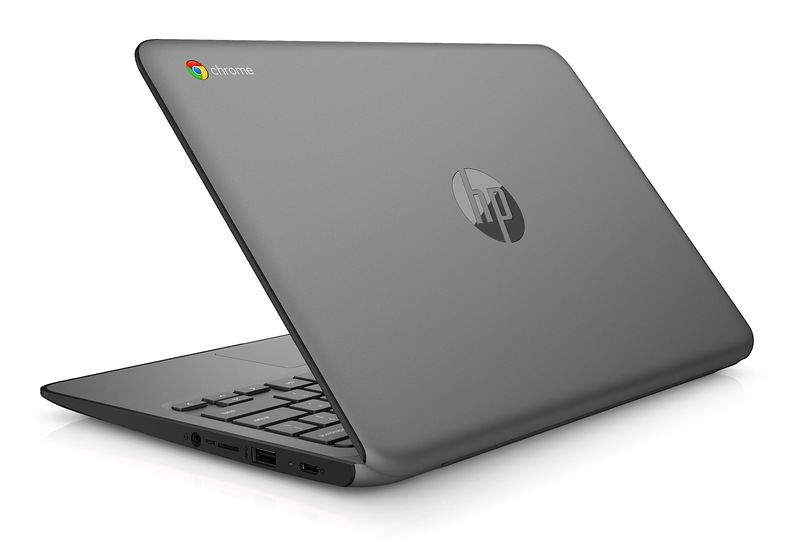 HP’s 11 inch AMD-based Chromebook won’t be the only Chrome models coming, with the Intel-equipped HP Chromebook 11 G7 and HP Chromebook X360 both coming later in the year. There’s no pricing on either yeat, but it’s something we’re checking, with the latter looking to impress not just with ruggedisation, but also Gorilla Glass, too. 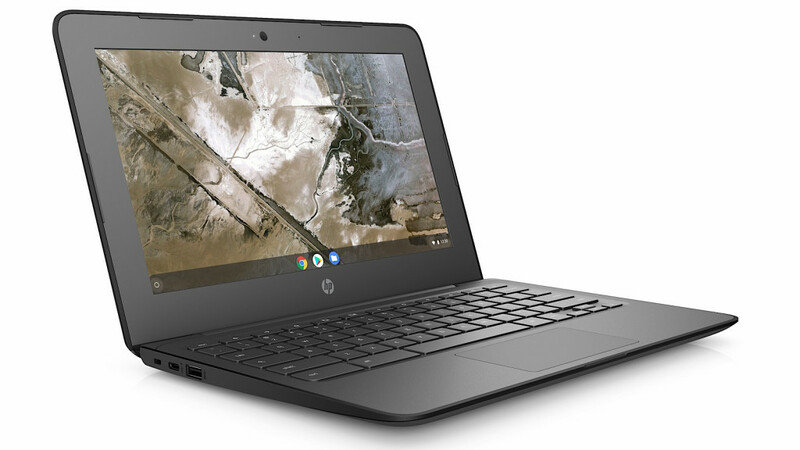 In the mean time, the HP Chromebook 11A G6 will be in stores from next week. A standard USB (USB Type A) port is handy, but so is that USB Type C port used for charging.